After two amazing years of representing her country in Samoa, Ms Angelina Wilkinson, the United States Chargé d’Affaires, is reluctantly preparing for her next post. “Samoa’s strength as a nation is its people. As far as the scenery, everything that’s here is just beautiful but more importantly it’s the people. They are genuine, nice and just welcoming. “Every place I have gone to, I’ve been amazed by the generosity, people are always willing to give. “It was very easy for my family and me to make Samoa our home for the last two years. “A lot of people don’t know about it so this is our chance to tell them about beautiful Samoa. Ms. Wilkinson said she has always been inspired to help people which is why she came all the way to Samoa. 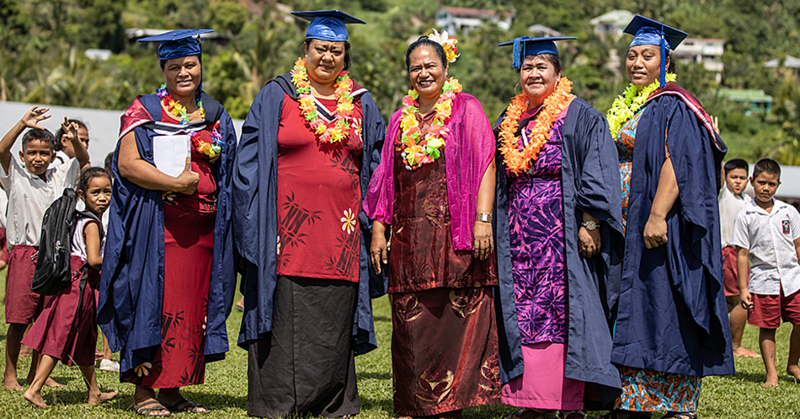 During Ms. Wilkinson’s tenure, the U.S. has funded a number of aid projects in Samoa. The U.S. averages about $10 million tala in support of Samoa each year. There is the Ambassadors Fund for Cultural Preservation – USD$65,000 as well as Small Grants Programme (2 years in a row) – a programme that offers small grants from ST$10,000-ST$12,000, to indigenous non-government organizations to strengthen democracy, engage youth, promote U.S.-Samoa links, address environmental and health issues, advance science and technology, increase respect for civil society and the rule of law, advance human rights and women’s rights. In 2015 and 2016 Small Grants totalled close to ST$100,000 each for those years. “We’ve done a lot in the area of small grants programmes which you often don’t hear about,” said Ms. Wilkinson. The U.S. Department of Defense Humanitarian Aid built the school hall, school fence, and other renovations for Sa’anapu Primary School, she said. “We are currently working on renovations and rebuilds for Safata College, Sataoa Primary School, and Asaga Primary school. “You hear about these multi-million dollars grants and things but we very much look forward in the small grants. They are for smaller organizations who don’t need large amounts of money, they just need a little bit to make a change and by doing that, we’re able to help lots of different organizations. “For example we’ve been partners with Nobesity Samoa, so I would say that’s been one of my highlights. Ms. Wilkinson has so much love for the work she does especially that which has involved the children of Samoa. Reflecting on some of those occasions she said, “One of my most fun times was when we had iLuminate come and a lot of people remember them. They were the hip-hop dancers that came from the U.S. that did the technology Science, technology in the Arts and they were amazing. 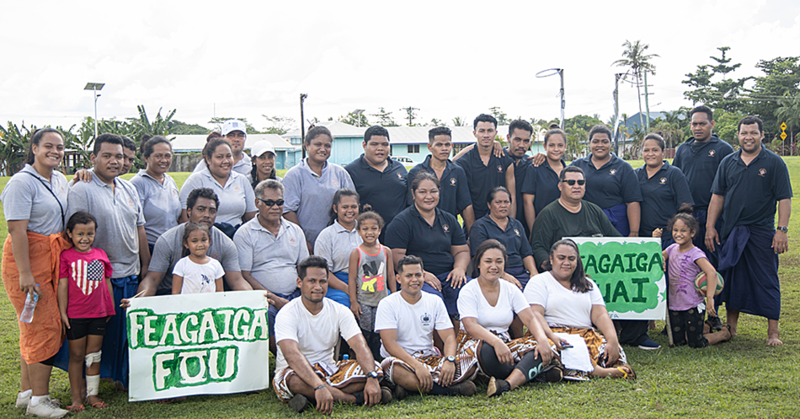 “It was so much fun to go to all the schools with them; both here and Savaii and seeing all the kids having fun; being athletic, learning about Science and everything. “We also had Lori Lindsey here from the U.S. World Cup Soccer team. She was amazing. “We did a girls soccer day and we took her around to several schools and the kids got to learn from a pro; you know from someone in the highest level of soccer in the world. “Back here on the ground level, we did a lot with the Reading Ambassadors’ programme where we went to several schools in the area and we shared books. Ms. Wilkinson has also used her time to create close friendships with a lot of N.G.O’s including Samoa Victim Support Group. “One of the groups that I had a very good relationship with during my time is Samoa Victim Support Group, we’ve done a lot with them as well as having them up at our residence a couple of times for Easter events. “We’ve gone out to S.V.S.G. several times and shared with the kids there and that to me is one of the most fun times. “Probably my biggest challenge is just being so far away from home. We’re not next door here to the U.S., and just with that, it’s hard trying to share the message back to the U.S. You know not a lot of people back in the U.S. have a lot of background about Samoa so I’ve been trying to make a big effort to share how beautiful it is, how easy-going and welcoming everyone is here so for me. I kind of turned the challenge around into something positive even though we’re far away. Mr Tony Greubel will be taking over Ms. Wilkinson’s post soon. He is coming from Washington D.C., and is scheduled to arrive on early August. As for Angelina, her next post is also to warm, sunny islands. Ms. Wilkinson is originally from Kansas, and is a career member of the United States Foreign Service and widely recognized and highly regarded as a Consular professional. She is a graduate of Wichita State University with a Bachelor of Science degree in Political Science and Criminal Justice, and she holds a Juris Doctorate degree from the University Of Akron School Of Law. Throughout Angelina’s time here in Samoa, her family have been by her side supporting her all the way. 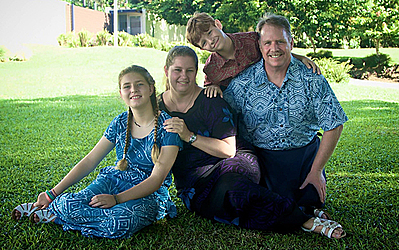 Ms. Wilkinson’s husband, Myles, is a professional engineer and they have two children, Bailey and Anderson who are currently attending Vaiala Beach School. “I’m very sad to leave but I’ve made many good friends and I would always have a special place in my heart for Samoa but I’ll be back someday.